I have a couple of ATVs, and I have a trailer, but until today I didn’t have a system for mounting those ATVs for secure transport. Oh, sure I could use ratcheting straps. But who really wants to rely on a couple of nylon straps when it comes to keeping a $10,000 or $20,000 vehicle from falling off on the highway and potentially killing a bunch of people? Not me. Insure any mechanical connection between the trailer and the ATV is steel. Have a mechanism for partially compressing the suspension to keep ATVs from bouncing. 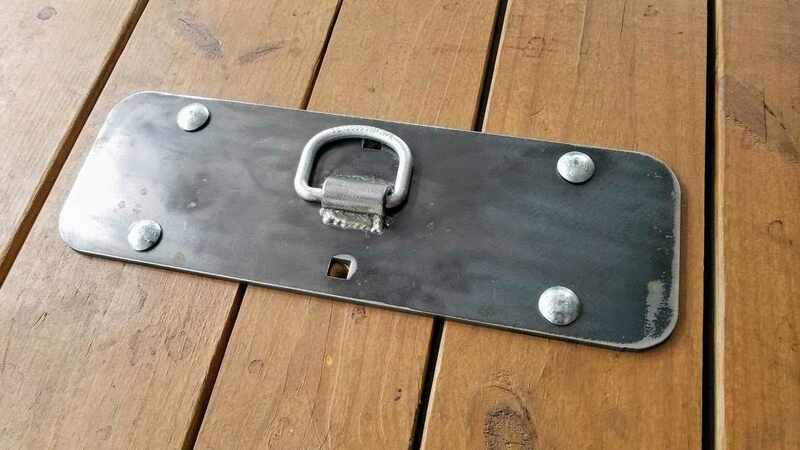 Allow the system to be removable so as not to interfere with other uses for the trailer. Strength, simplicity and cost effectiveness. At the end of the day, the best way to secure an ATV to a trailer is to be able to pull the vehicle straight down from the front center and rear center. 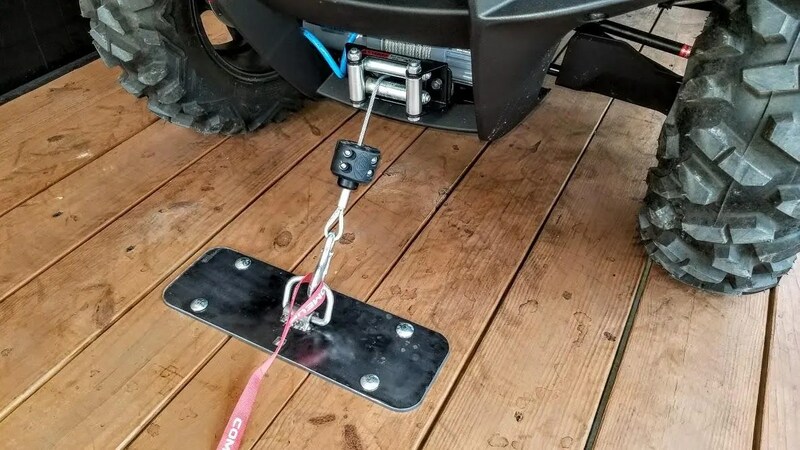 This allows the tires plenty of friction to resist sliding, and mitigates the potential risk that comes from pulling the ATV to either side if one strap were to break (launching the vehicle in the opposite direction). Since both of my ATVs have built-in winches, the front component makes use of the winch by providing a secure mounting ring. 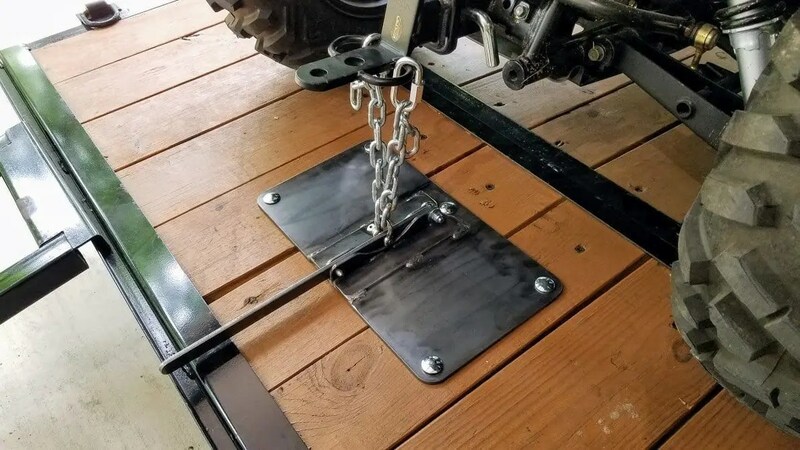 Simply put the ATV or UTV in position, connect the winch, and snug the front end down. The rear component makes use of the built-in receiver hitch as a strong mounting point. 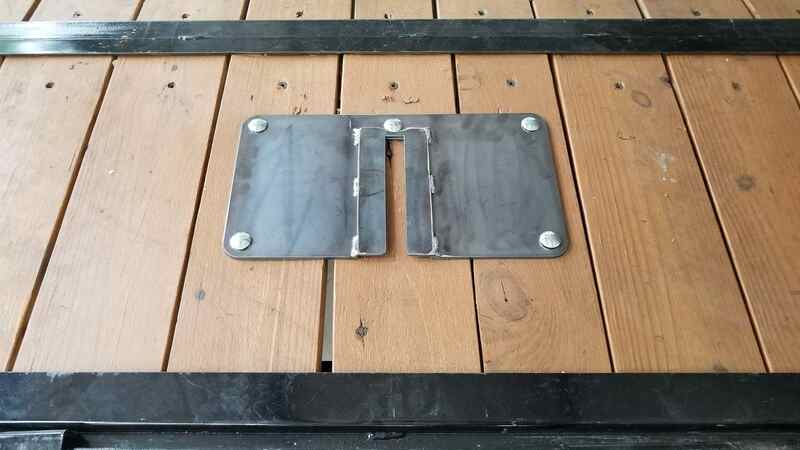 First, a baseplate is secured to the deck of the trailer which accommodates a removable ratcheting attachment. Next, the attachment slides into the baseplate and two redundant chains attach to the receiver hitch. Finally a tensioning lever is lowered, compressing the rear suspension, and a pin is inserted to lock the lever in place. By lowering and locking the tensioning lever the ATV suspension compresses several inches, which is just enough to keep the vehicle firmly planted and ensure there is absolutely zero side to side movement during transport. All methods of vehicle transport have benefits and drawbacks. What I like most about this system is that it completely eliminates the potential risk of a strap popping off, either due to breakage, or due to the vehicle “bouncing” a strap loose. 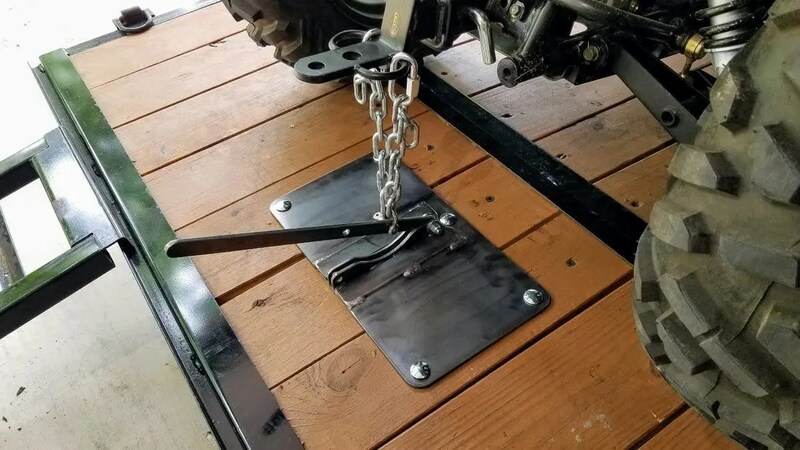 The one potential drawback of this mounting system is that if the vehicle lacks a Parking gear, or locking brakes, there is the potential for some front to rear movement during acceleration and braking. So depending on the ATV / UTV the system may need to be augmented by some sort of wheel chock to prevent rocking. I have some more testing, as well as prototyping and refining, to do over the next week or two. However if you’re interested in getting one, or have ideas about how to make it better, reach out and let me know!